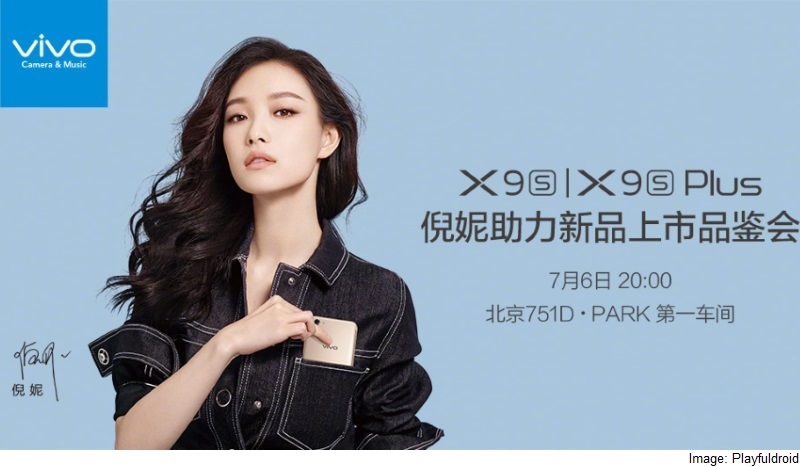 Vivo has started sending out media invites to launch its Vivo X9s and X9s Plus smartphones at an event on July 6 in Beijing. The teaser image of Vivo X9s and X9s Plus shared by Playfuldroid doesn’t reveal much information about the smartphones, but it did suggests that Vivo X9s might carry some of the design elements from its predecessor such as the camera which you can find located towards the top left of the smartphone. There hasn’t been any information about the Vivo X9s smartphone in past leaks, but the Plus variant of the smartphone has earlier been spotted in a TENAA listing. As per the specifications leaked by TENAA listing, the Vivo X9s Plus runs Android 7.1.1 Nougat and features a 5.85-inch full-HD (1080×1920 pixels) display. The smartphone has been tipped to be powered by an octa-core processor clocked at 1.95GHz coupled with 4GB of RAM. In terms of optics, the Vivo X9s features a 16-megapixel primary camera at the back. At front, it has been said to come with a dual camera setup with one 20-megapixel and another 5-megapixel sensor. As per the TENAA listing, the Vivo X9s comes with 64GB of built-in storage and houses a 3920mAh battery. What you think about Vivo smartphones? let us know in the comments section down below.